Big data has been big news for businesses in recent years. The rapid rise in internet use and smartphone technology means we are now generating vast quantities of data every minute. According to one 2016 estimate from IBM, 90 percent of the data in the world was created within the last two years. When done right (blockchain) big data can provide deep insights enabling faster and more accurate decision making. Having access to such unprecedented volumes of data comes with both opportunities and challenges. This data can accelerate growth and success for businesses. For example, one telecom provider uses customer location and travel data to create targeted real-time promotions, advertising, and up-sells of its services. In the finance sector, big data analysis can be used to identify and prevent fraud. Handling such vast volumes of data is not without challenges. Big data requires enormous storage capacity and processing capability. It must also be readable by humans and not just computers. Perhaps most critical -the data being used must be correct in order for it to provide meaningful insights. Companies such as Google and IBM have developed solutions that address these issues. However, the costs of overcoming big data challenges often put big data out of the budget reach of SMEs. 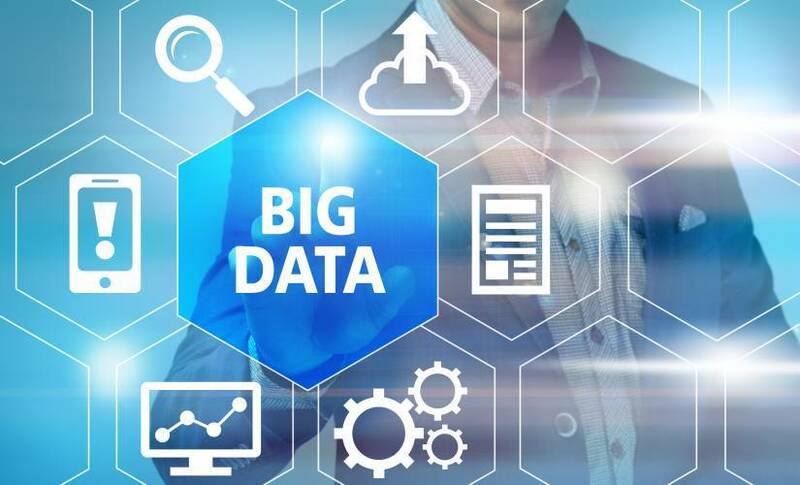 This limits the use of big data to sectors featuring large global players that can afford to invest in solutions with more fragmented industries with smaller players getting left behind. The emergence of blockchain provides many benefits for big data. Distributed computing eliminates the need for centralized servers to take all of the storage and processing load which reduces the cost of big data, making it more accessible to a broader audience of smaller businesses and enterprises. Through consensus protocols, a blockchain network can also perform the essential task of validating data for accuracy before it is entered into a database. This ensures that the data can be trusted, and the information is more likely to be adopted by businesses as a decision-making tool. As the financial sector is one of the leaders in the adoption of big data, it is unsurprising that banks are among the first to start leveraging the power of blockchain in their big data efforts. At the end of 2017, a consortium of 61 Japanese banks signed with blockchain company Ripple to develop real-time authentication and verification of interbank transfers. With transactions stored in realtime, the banks use big data analytics to examine consumer spending patterns and identify risks such as fraud and money laundering. Real estate is one example of a sector that has been slow to adopt big data due to its fragmentation and a large number of smaller players in the field. Due to its fragmentation, most data currently bought has no way of being verified by the buyer. All parties to a real estate transaction are dependent on data to enable it — whether they be buyers, sellers, mortgage providers, insurers or realtors. With no easy way of verifying data available to them, parties are forced to rely on the reputation of the data provider. These issues have serious economic repercussions, as the availability and trustworthiness of data can make or break a real estate deal. Rebloc aims to use consensus protocols to overcome this issue, by developing a blockchain-based data marketplace for the real estate sector. Rebloc operates using secure smart contracts, when a consumer requests access to a set of data, a smart contract is opened between the seller and buyer and the data is then checked by a validation protocol which compares it against multiple other datasets. Once the data has been verified to be accurate, the smart contract releases it to the buyer and sends money to the seller automatically. Rebloc foresees that its network will be able to accommodate the vast number of parties in the real estate business, from large mortgage and insurance brokers to smaller realtors and even homeowners. Blockchain allows for the real-time availability of data, ensuring speedier real estate transactions with up-to-the-minute visibility of the data needed to close a deal. There is a massive amount of data generated by clinical trials and biomedical research. The accuracy of this data is paramount in ensuring that the drugs that make it to market are safe for use. Chinese and US researchers have now released a paper detailing their study into using blockchain for the validation of data integrity from biomedical studies. This process makes use of public validation using the Ethereum blockchain. Individuals on social media will often provide unsolicited praise to their favorite brands, which is essentially a free endorsement. Adscot is a company that works to find these mentions on social media and connects brands to the individuals who made them. The idea is that the brands may wish to work with the individual in the capacity of a social media influencer who could create further such promotions on a paid basis. A sibling company of Adscot is now developing a blockchain platform that will use actual humans to verify data submitted by its users. Called Avence, the company points to a need for specific data and datasets to be authenticated by humans. It believes the verification of a social media post belonging to an actual human account is one of them. With so much data in the world now, it is unsurprising that centralized computing incurs such significant costs of dealing with it all. While big data has been a costly field to enter, wrong big data can be even more expensive. Blockchain offers clean and practical solutions for verifying data, as well as its storage and processing. Therefore, it is likely that the partnership between blockchain and big data could be a lasting one. Ruben is a blockchain security consultant currently living in New York City. He helps organizations fundamentally redesign experiences to create new sources of value also digitally reinventing company's operations for greater efficiency.